Block Size: 1.50" x 1.25"
Monthly desk/wall calendar displays each month on one page. Planning pages range 12 months from January to December. 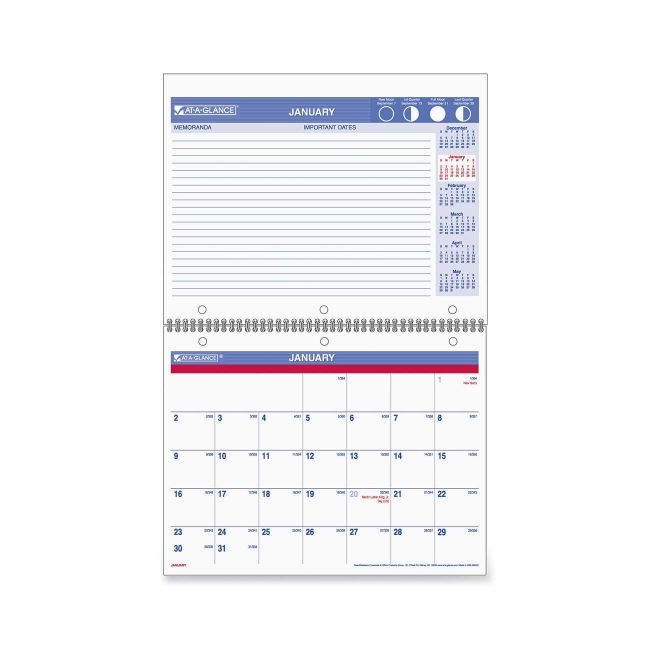 One-page-per-month format features unruled daily blocks (1-1/2" x 1-1/4"), a six-month calendar reference, moon phases, a large lined area for notes, and Julian dates. Printed on white paper. 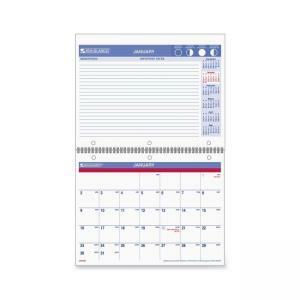 Calendar features wire binding and three punched holes for hanging or binder use. Federal holidays are highlighted in red.